The so-called “natural” energy bar category has recently exploded, with more than 25 different bars that all claim to be the crunchy granola cousins of the first-generation engineered energy bars including PowerBar and Clif Bars. Even PowerBar and Clif have their own natural bar lines. But when you look at some of the offerings, they’re really not all that natural and they’re pricey. There’s so many simple energy bar recipes that call for healthy grains, dried fruit, honey and nut butters. 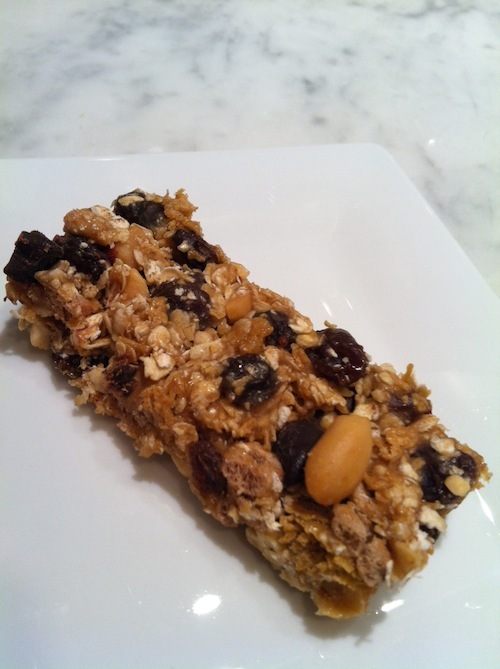 Here’s a homemade natural energy bar recipes we like, developed by Lauren Schmitt, RD, a registered dietitian and certified personal trainer. High in fiber, protein, and unsaturated fats, these treats are great for kids and adults to snack on at the park, prior to a work out, mid afternoon when the energy is low, or at night when the sweet tooth comes out. Pick your favorites nut, seed, cereal, and nut butter to customize these to your taste buds. Try a different variety each time for a unique treat! Combine the first 5 ingredients and mix. Set aside. Combine the nut or seed butter, brown sugar and honey. Microwave for 1 minute or until bubbling. Remove from microwave and stir in vanilla. Pour the hot mixture over the dry ingredients and toss until the dry ingredient is covered. Press firmly into a lightly greased 9 x 13 pan. If the mix is sticking to your hands to spoon, place wax paper over the mixture while pressing down firmly. Cut into 25-30 bars. Store in airtight container in the refrigerator. These bars freeze very well so it may be wise to freeze half the batch. 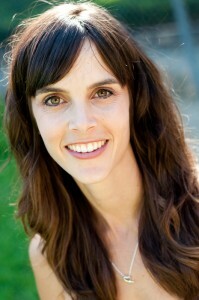 Lauren Schmitt is a registered dietitian, nutritionist, and certified personal trainer specializing in individual and corporate wellness, eating disorders, and weight management. Lauren currently owns her own business, Healthy Eating and Training, Inc. (H.E.A.T) where she counsels individuals about nutritious eating and physical activity. Lauren’s H.E.A.T energy bars were inspired by her company in that she seeks to give people the tools they need to live a balanced, healthy life. Do you have nutritional information for these? Thanks! Thanks for the recipe! Can we get the nutritional info for these bars? Thanks! Fabulous recipe! I can’t wait to make these. wondering what the calories are 🙂 ?